The cost of the HPFI-120 is $3,500.00 US dollars per unit. 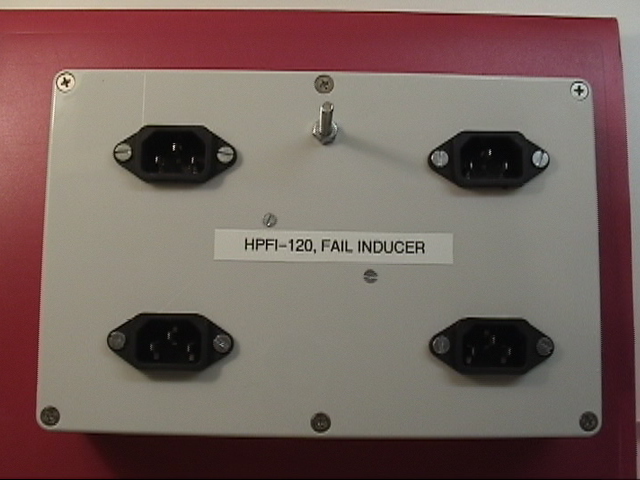 The HPFI-120 is intended for use in providing the inducement of failures to Hi-Pot testing devices. The HPFI-120 contains four AC ports to simulate the effect of failures in a device with four power supplies. Pricing does not include shipping, duties, or taxes. All shipments are made "freight collect", with the recipient paying freight, duties and taxes. The weight of the HPFI-120 unit is between approximately 2.5 and 5.0 pounds.